This isn't the first time I've had this beer. Last weekend a friend of mine came to visit. I took him on a trip to my favorite local beer store to buy enough brews to get us through the weekend. He saw this on a shelf and read that it's inspired by Spanish popsicles and had to try it. I figured "why not?" Neither of us knew what a guayaba was but, judging solely by the color of the beer, we thought it might by watermelon-esque. 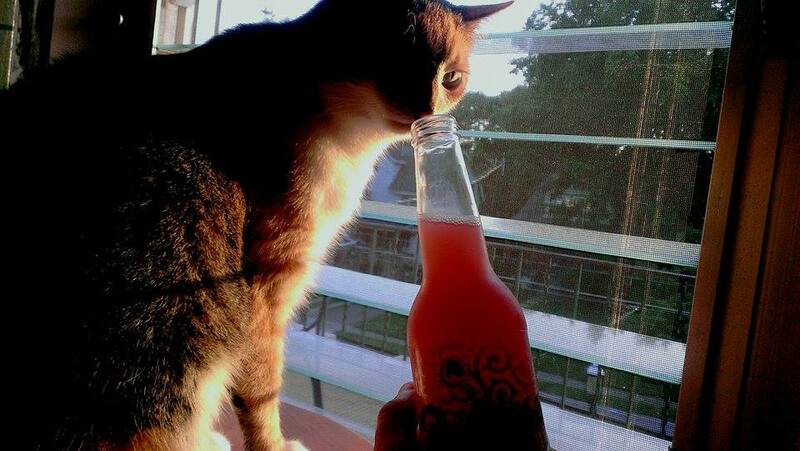 If not that we assumed it'd be sweet and refreshing, at least. Boy, were we wrong. While my buddy disliked it heartily, I found it intriguing but unappealing. This is my second time drinking this brew and, now that I know what to expect, I'm hoping to appreciate it a bit more this go around. 5 Rabbit Cervecería is located in Bedford Park, IL, right outside of Chicago. Mythology fans (especially Aztec mythology fans) will dig the meaning behind the brewery's name. For those who aren't interested in checking their about page, here's the gist: a being known as 5 Rabbit was the child of Mayahuel, who was the goddess of maguey (a kind of agave), and the god of fermentation, Pantecatl. 5 Rabbit was also one of the five Ahuiteteo, patron deities of excess. So, 5 Rabbit is pretty much the perfect name for a craft cervecería. The brewery's main driving force is comprised of three guys; Andrés Araya is the cervecería's CEO, Randy Mosher is its Creative Director, and John J. Hall, who is not only a former Goose Island employee but is also serves as brewmaster for 5 Rabbit. According to the brewery's page for Paletas, the line is extremely limited. They brew a batch based around a fruit, send it out, and immediately start brewing the next fruit. Meaning that if you don't pick one up when you have the chance you'll likely miss out on it entirely. 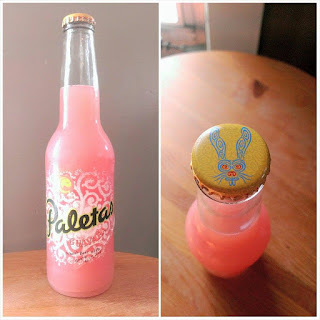 There are aspects other than name and limitedness that each batch Paletas shares: they're all 3.5% ABV, they all contain fruit pulp, and they all have a lot of wheat in them. I would also assume that each one looks as delicious as the Guayaba does. But, at least for the Guayaba, that deliciousness doesn't initially extend beyond its looks. It has a very grapefruity aroma. And, while a lot of people enjoy grapefruit and while it is pretty darn good for you, it's never been regarded (to my knowledge) as a sweet fruit. There is a sweetness in Paletas' scent though--I'm guessing it's from the starch in the wheat?--that contains a enticing, summery quality. Overall, I don't find Paletas' aroma to be too pleasing. Purrl absolutely loves it, though. She gave it a whopping eleven (!) whiffs. That's the highest I've ever seen her go. Guess her love of citrus (which is odd for a cat because they're supposed to hate citrusy things) is continuing to expand and evolve. The flavor is also very grapefruity. This is most likely because a guava is a citrus fruit and some species are similar to grapefruit flavor-wise (thanks, Wikipedia). But that's all I taste. None of the sweetness from the wheat is here. The wheat does come into play in the beer's mouthfeel. 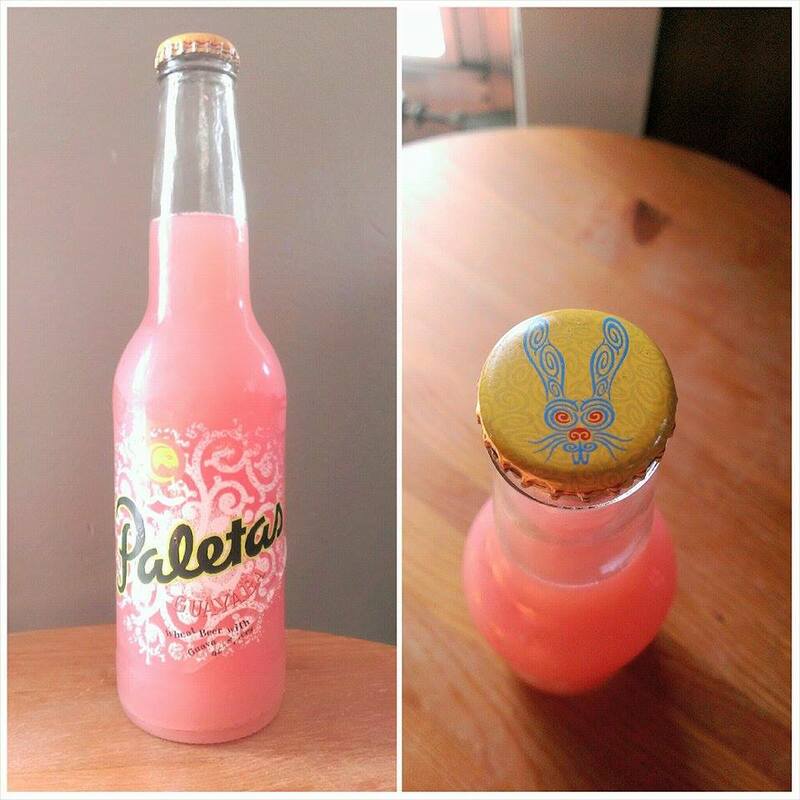 5 Rabbit's description of Paletas says that the wheat gives the beverage a creamy finish. I can see that. I also think it gives the whole thing a chewy quality. If you purchase some, try this: take a swig and swoosh it in your mouth. It thickens up really quickly. Which is odd. But cool. Know what this reminds me of? My junior of high school (which was a great one). I could drive. Classes were a breeze. I had an awesome group of friends, one of whom was a German exchange student that my family housed half of the year. Sometimes after school we'd stop by a gas station on the way home and get a kind of soda that only that particular station had, and they only had it until the company went under shortly after we discovered it. The soda had the same grapefruity taste and same chewy quality as Paletas Guayaba. Each swig of the beer takes me back to those good times. I can confidently say, without trying to sound like a pompous jerk, that this Paletas is an acquired taste. I hated the first sip of my first bottle but, by its completion, I was intrigued enough to try another. Now I'm starting to like it. But, the steep enjoyment curve means it only nets a 7.0/10 from me. Try it if you want. As for me, now I'm into 5 Rabbit Cervecería enough to look forward to tasting whatever brew of theirs I find next.